Forest City Farms is a small local farm located in the Central Connecticut river valley producing organically grown food. We are focused on contributing to the local sustainable food community in which we live. On the farm we grow a wide variety of heirloom produce and culinary herbs that are sold at farmers markets and distributed in local CSA farm shares. Forest City Farms is a local organic farm focused on growing heirloom vegetables, flowers, and culinary herbs. We believe in growing food that is not only fresh, but nutrient dense and nutritious. 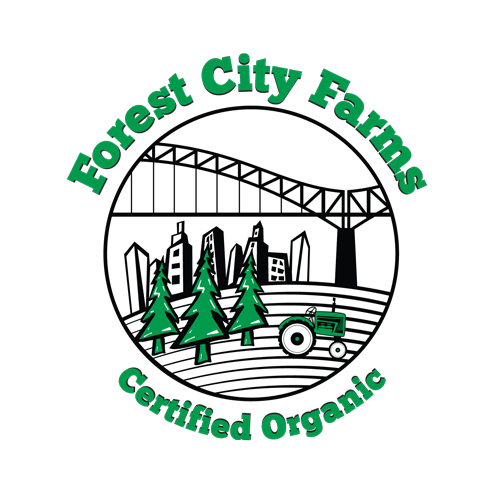 Forest City Farms is a new farm established in 2014. We started farming with a passion to provide local, organic produce to the community in which we live. 2018 Market times and locations will be announced soon. We are growing food across several properties in the Connecticut River Valley. Our main growing location is on River Road in Middletown. Below is a list of locations you can find us sharing our locally grown produce when the markets are open for the season.